A Celebration In Time is one of the most ambitious projects ever produced by Justin Time Records, and showcases the artists who've been an integral part of the Montreal-based label's storied history since its founding in 1983. 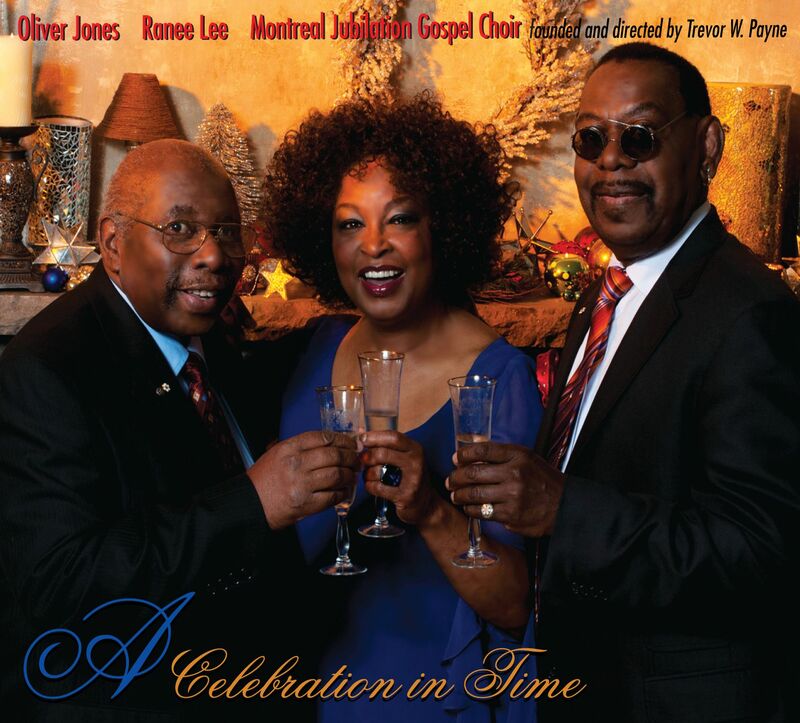 In top form are piano giant Oliver Jones; chanteuse extraordinaire Ranee Lee; and the internationally renowned Montreal Jubilation Gospel Choir, directed by its founder, Trevor W. Payne. Also performing are the spellbinding Daphnée Louis Singers, direct from Haiti, performing "Gras Bondye. "The recording, consisting of both standards and new compositions, all in a seasonal vein, is sure to become both an instant classic as well as a solid retail item, considering the proven sales histories of Mr. Jones, Ms.Lee and the Choir, each of whom are also Juno Award winners.